Found in southern Mexico, Guatemala, El Salvador and Honduras as a reed-stem epiphyte in tropical semi-deciduous forests, mountain rain forests and cloud forests often in ravines at elevations of 500 to 1800 meters with simple, reed-like, thick, laterally compressed stems with tubular, laterally compressed, smooth sheaths that give rise to the lanceolate ovate to elliptic, dorsally keeled leaves that are unequally bi-lobed at the apex and was determined to be a separate species from Epidendrum difforme in 1988. The inflorescence is a terminal umbell of 10 to 25 flowers occuring from the summer to mid fall. 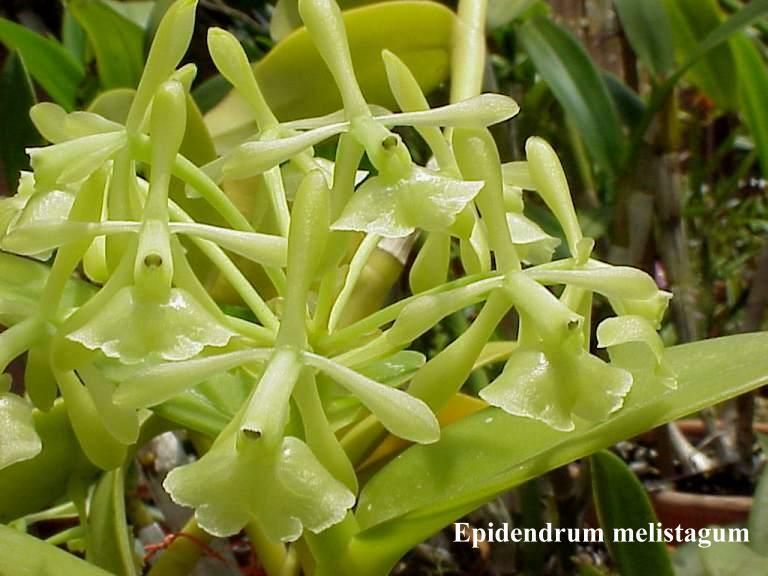 The resupinate flowers open simultaneously and have a lemon scent in the morning and at evening have a stronger more rancid smell.